Will solar roofs become prominent soon? 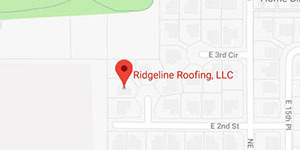 Recently, a new technology has been making waves throughout the tech and roofing world. And the initial reaction is almost all positive. In fact, some go as far as to say it will be the roof type your roofing contractor will need in a few decades! Pioneered by the innovative Tesla company, the Solar Roof makes a number of claims that it’s the way of the future. But are these just hopeful sentiments for a future that won’t possibly exist? Or is Tesla correct that these solar roofs will change not only roofing, but the energy industry itself? One major claim that the solar roof makes is that it’s the most durable of any roofing material that’s proceeded it. But is that true? Contrary to popular belief, solar roofs have actually existed in some form for several years. Where the Tesla Solar Roof makes innovations is that it doesn’t add panels to existing roofs, but rather works as a roof first. It’s not an addition so much as a replacement. So while other solar roof companies only have to worry about the durability of the solar cells added to the roof, for the Tesla Solar Roof, it needs to be able to withstand everything a traditional roof does. And according to preliminary tests, it does so very well. However, even if it doesn’t, Tesla is willing to back it up with the best warranty in the business; the infinity warranty. According to this warranty, solar tiles are guaranteed for as long as the house stands, no matter what. This claim holds up. This claim is a little more ambiguous. At over $20 per square foot to install, instead of being the cheapest installation, the Solar Roof may very well be the most expensive roof material to install. Where it hopes to save money is in energy. And depending on where you live and the cost of your electricity, this may or may not save money. But either way, it will likely take decades to see a return on investment. This means that it’s a premium product and the savings depend on where you live and how long you plan to live in the same house. This claim varies widely in truth. With current prices of solar and how much money goes back to the customers, now is an ambiguous time to invest in solar roofs, and they certainly won’t be replacing much cheaper options for people on a budget such as asphalt shingles that still function well. However, in a few decades when the cost of solar tiles is expected to drop and energy prices are expected to increase, they very well could become the most popular choice.